PlayStation fans and PS4 gamers across the globe are in for a bit of a throwback fun later this year, as Crash Team Racing Nitro-Fueled is slated to arrive in June. Featured as part of the recent PlayStation State of Play stream, the bandicoot's latest outing looks to be as zany as ever, and the time before its release this summer is drawing to a close. It's possible that not all gamers will remember Sony's one-time mascot, the purposefully edgy critter named Crash Bandicoot. Starring in a number of television spots where he would antagonize Sony rival Nintendo, Crash starred in a series of 2.5D platformers before jumping behind the wheel in the original Crash Team Racing. That brand has been sitting dormant for some time, but the crews at developer Beenox and publisher Activision are keen to bring the Crash family back in an all-new racing adventure. Billed as something of a remaster of that original kart racing title, Crash Team Racing Nitro-Fueled is built from the ground up with all the niceties that modern gamers demand. 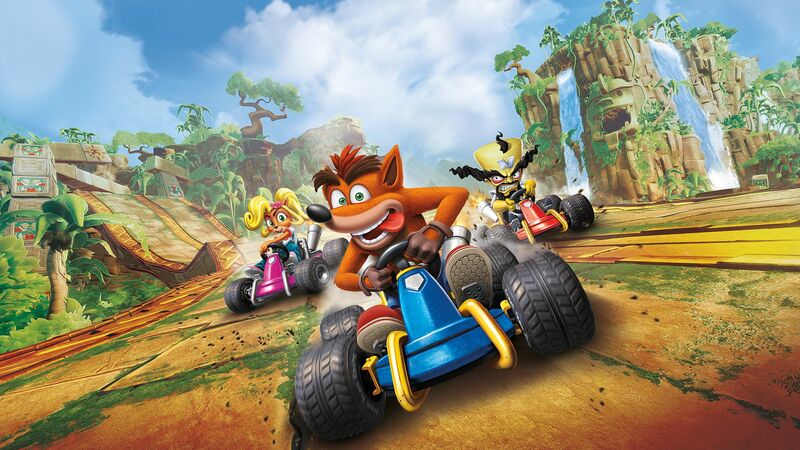 Beyond the fresh graphics and updated audio, the game will also serve as a platform for the re-emergence of some of Crash's colorful cast of supporting characters. In fact, Sony has been making a show of the more popular characters through several special character vignettes featured over on the official PlayStation Instagram account. Be on the lookout for the release of Crash Team Racing Nitro-Fueled on June 21, 2019, a date which corresponds with the first day of summer here in North America. For all the latest coverage of PlayStation 4 games, Sony news, and other State of Play trailers and reveals, be sure to keep it tuned right here to Shacknews.